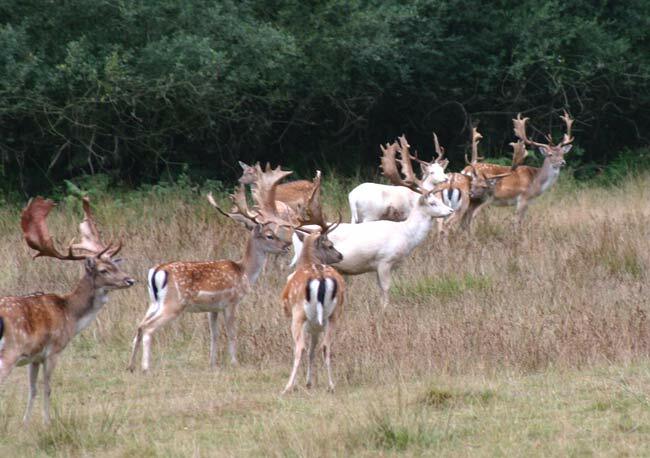 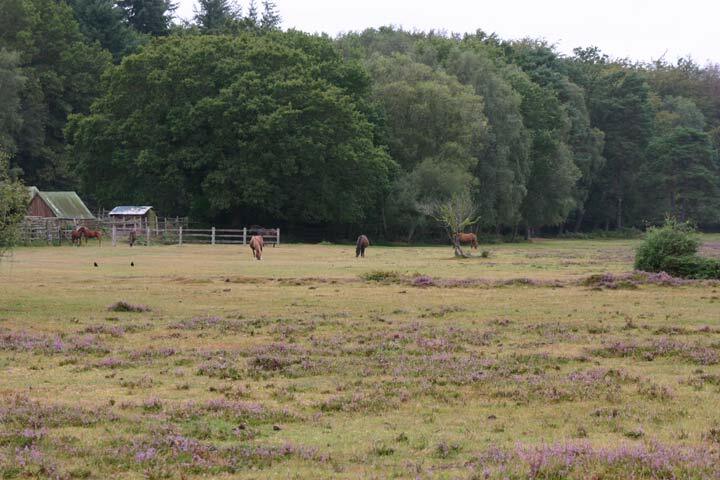 The New Forest was established as a Royal Forest for hunting by William the Conqueror and it still has a special status today, the Forestry Commission managing it but with the Verderers having control over the grazing and over some types of planning matters. 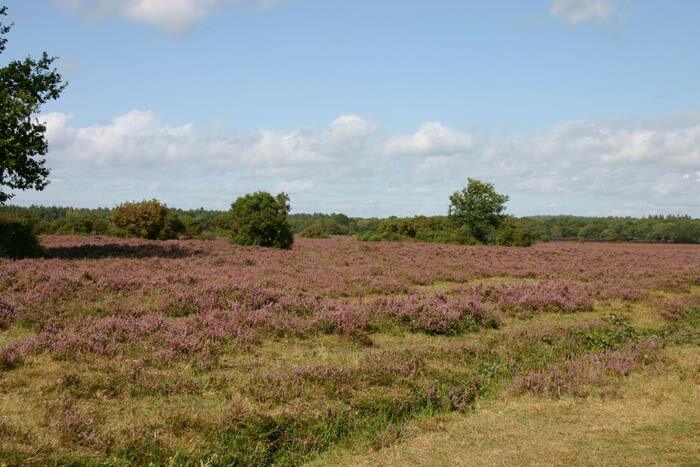 It has now become a National Park giving yet another level of protection. 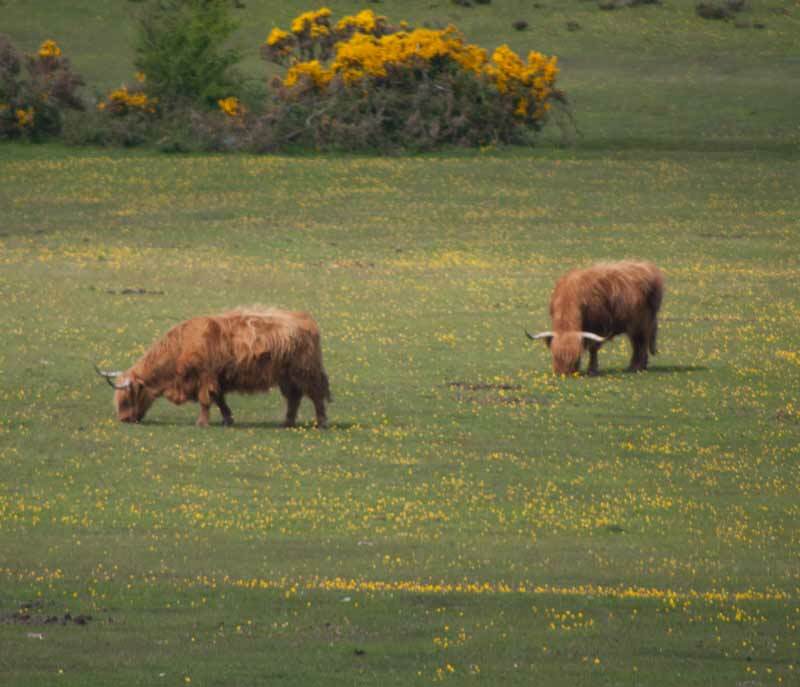 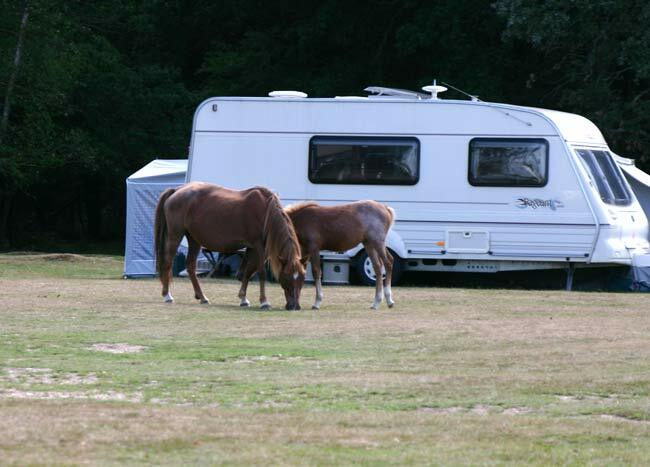 We often take our motorhome down there, staying on one of the basic sites from which you can look out to see the ponies, cattle and even deer. 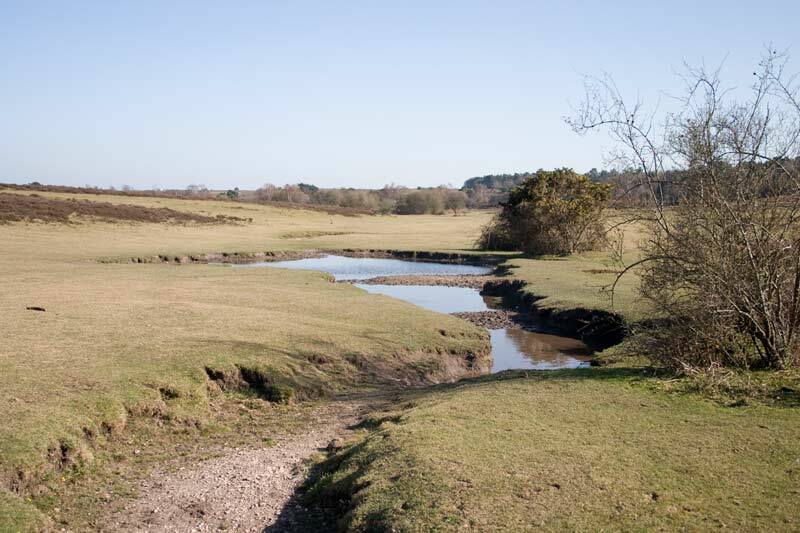 This bridge is the entrance to the camp site at Aldridge Hill just outside of Brockenhurst, there is a really good network of paths around this area where you can see the various facets of the forest. 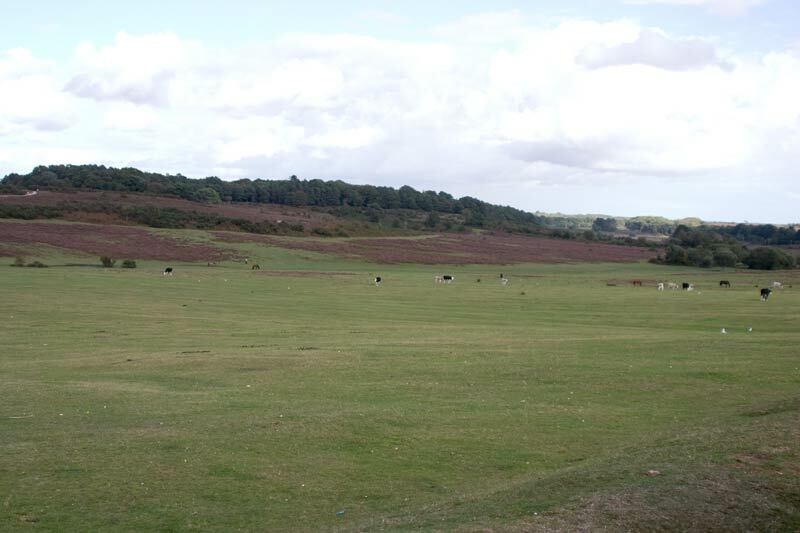 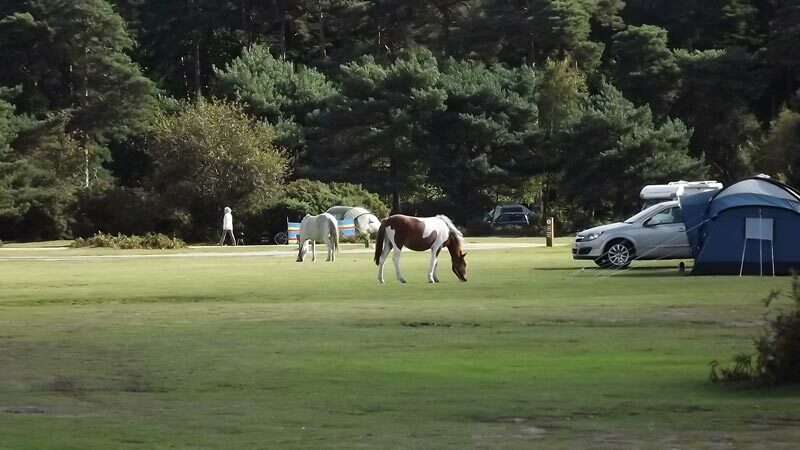 Some photos over Ober Heath, taken from our caravan door - marvellous scenery to wake up to! 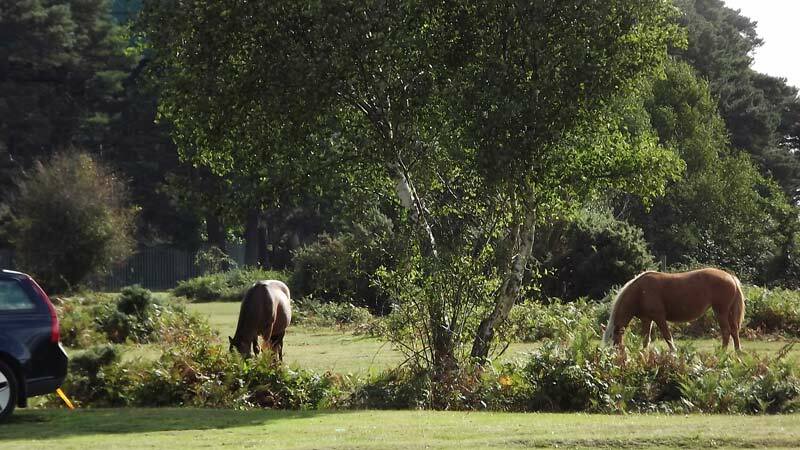 As with most of the New Forest ponies (and cattle) wander at will, these ponies visited the camp site while we were getting ready to leave. 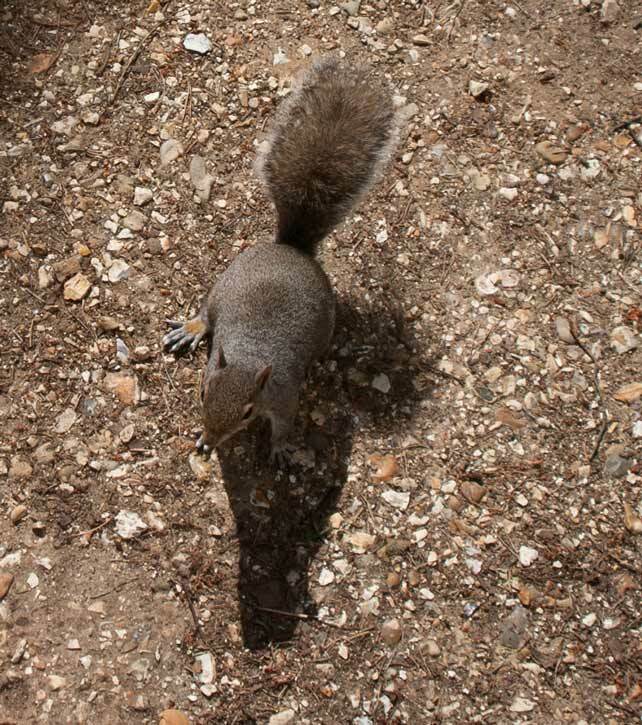 On another site I looked out of the camper door and a squirrel was sat just outside. 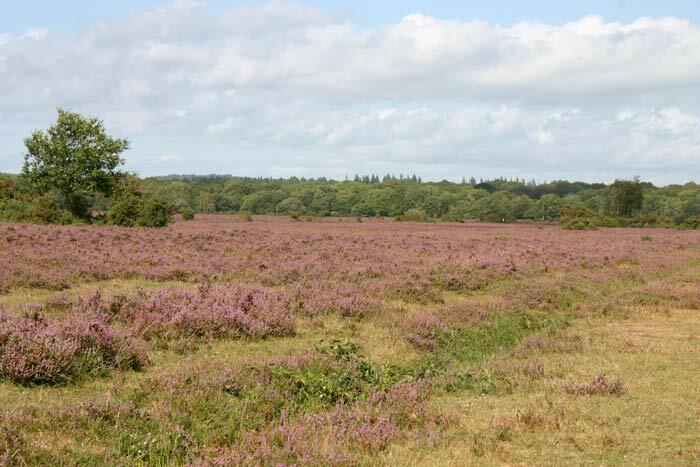 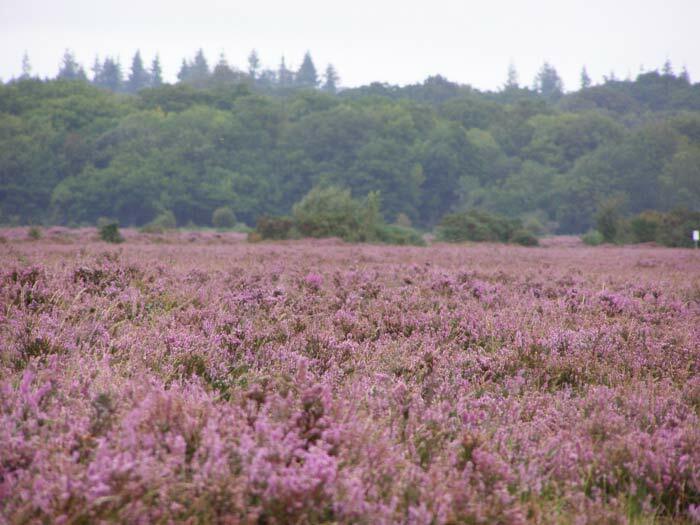 A last view for now of Ober Heath showing the glory of the heather during the first weekend of September. 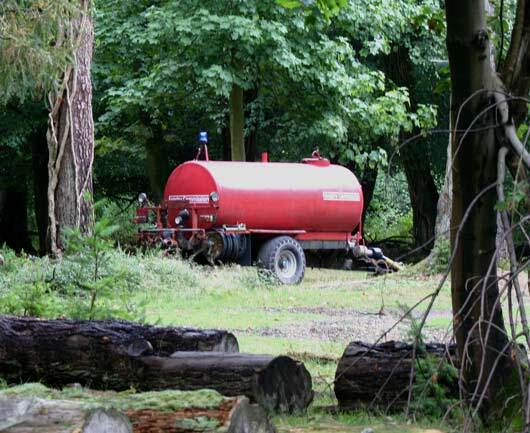 An oddity, I spotted this tractor drawn "fire engine" complete with flashing blue light parked in a clearing in one of the forested areas. 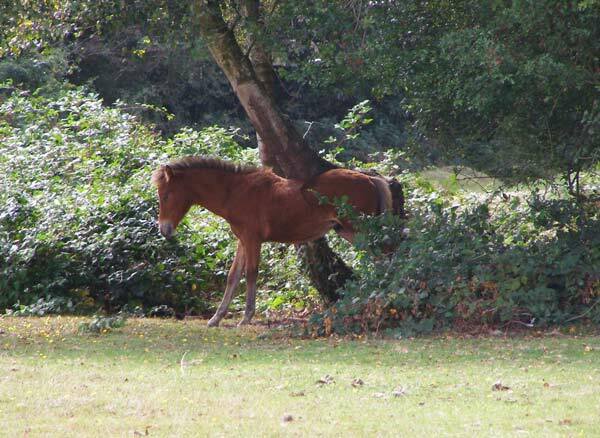 I suppose it's the only way to get water to fires in out of the way parts of the Forest. 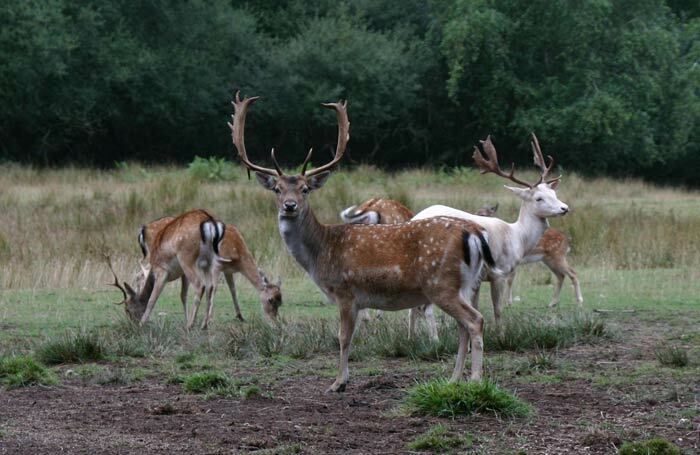 The Forestry Commission have a deer park at Bolderwood in the New Forest, these are two of my photos of the Fallow Deer there, I've put many more on Wildlife if you'd like to see them. 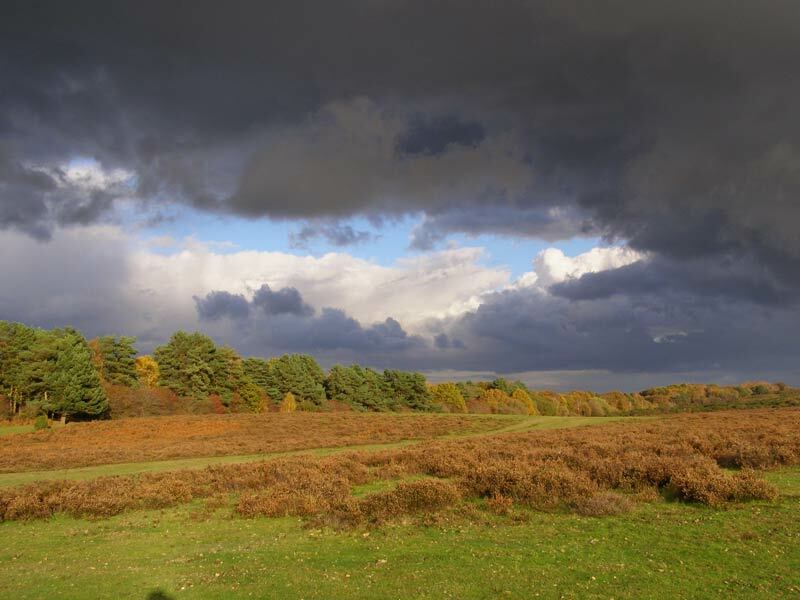 A typical open patch of the forest in full sun but with storm clouds above. 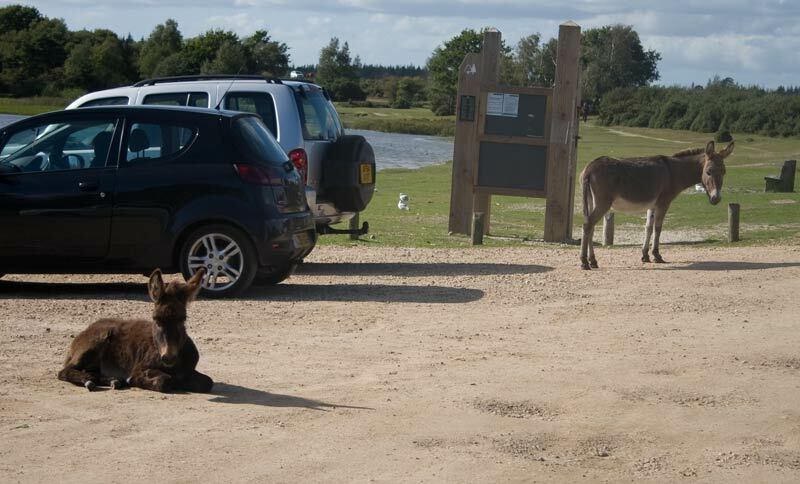 Near Burley and Beaulieu there are donkeys as well as ponies out on the forest, this jenny and foal were in the car park at Hatchet Pond near Beaulieu. 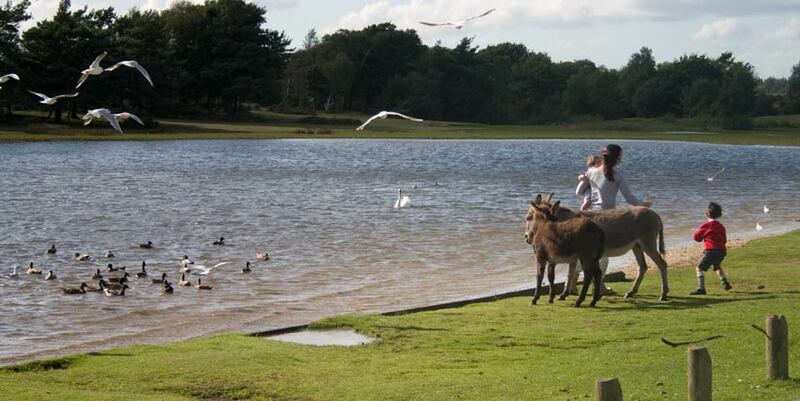 The pair again, trying to muscle in on someone trying to feed the ducks on Hatchet Pond. 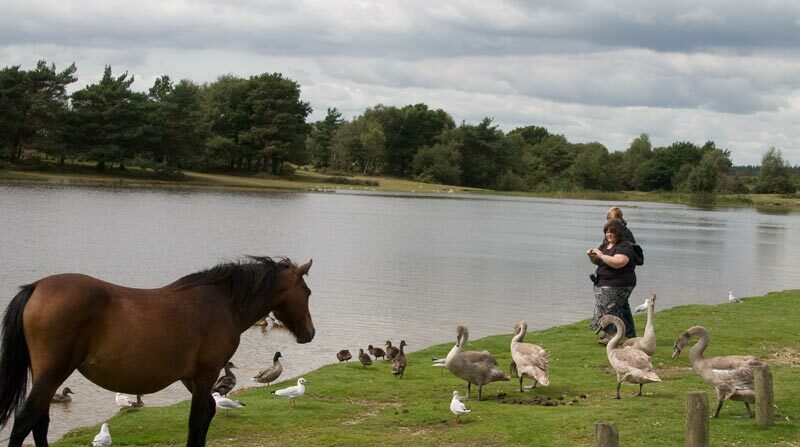 I think these folk were just taking a photo but pony, ducks, gulls and swans were all looking for food by Hatchet Pond. 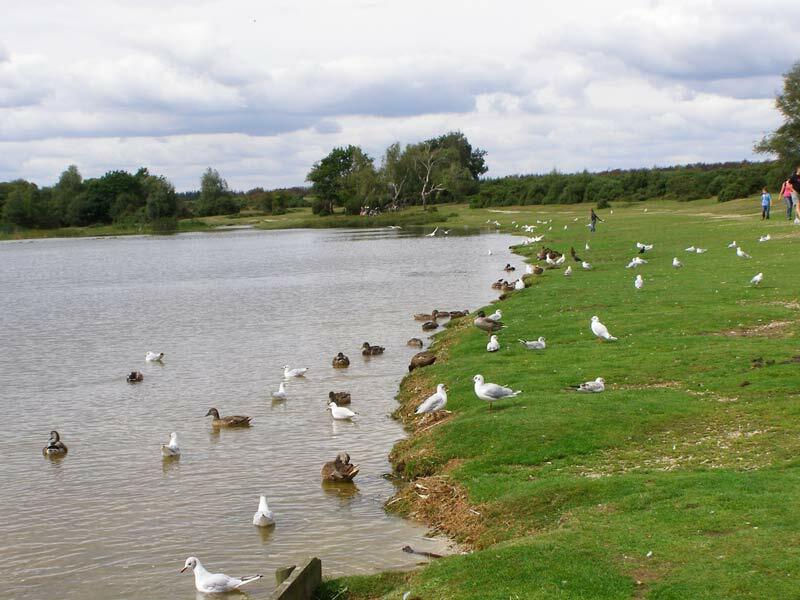 A view across Hatchet Pond, close to main (well "B") roads there is a very nice walk of about two miles around the pond with a mixture of trees and open heath. 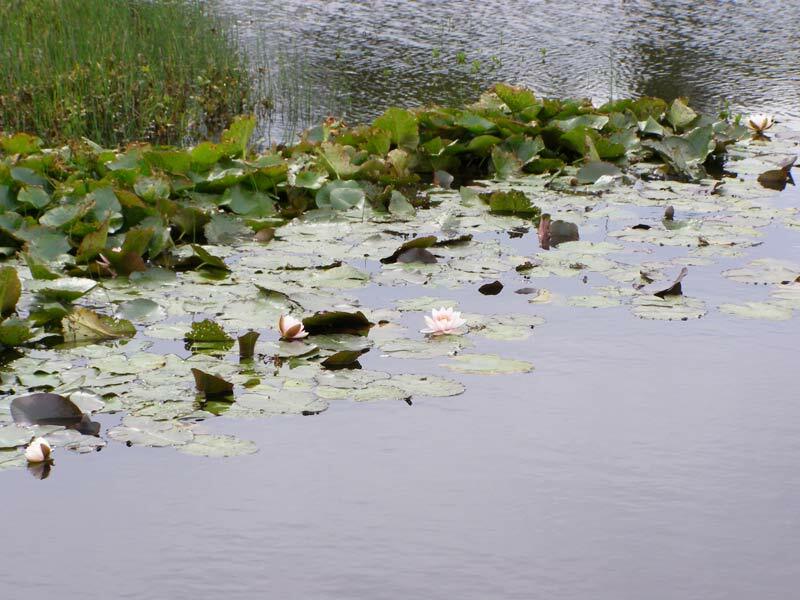 Water lilies in Hatchet Pond. 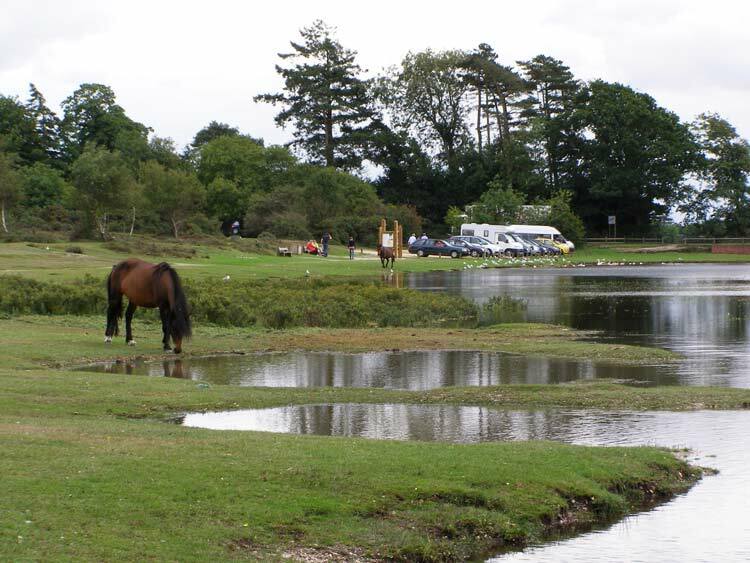 Looking back from the previous photo you can see part of the car park - as here we like to park the motorhome with a good view across the pond to have lunch then take the dogs for a walk around it. 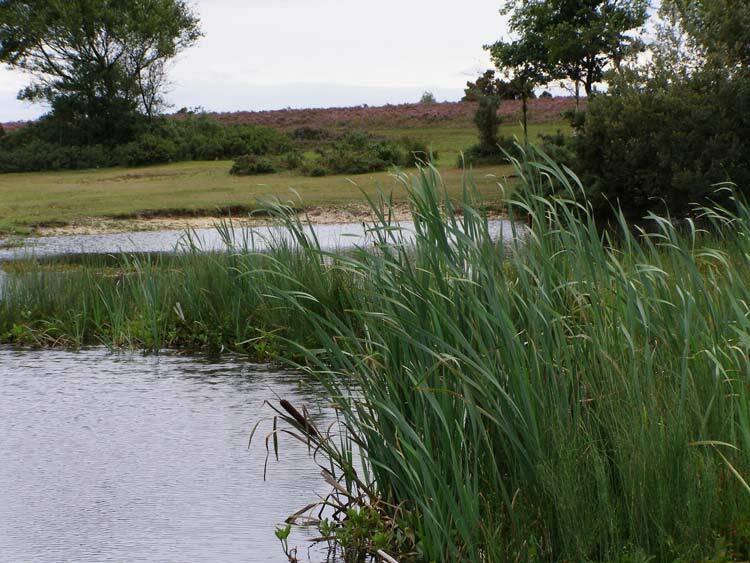 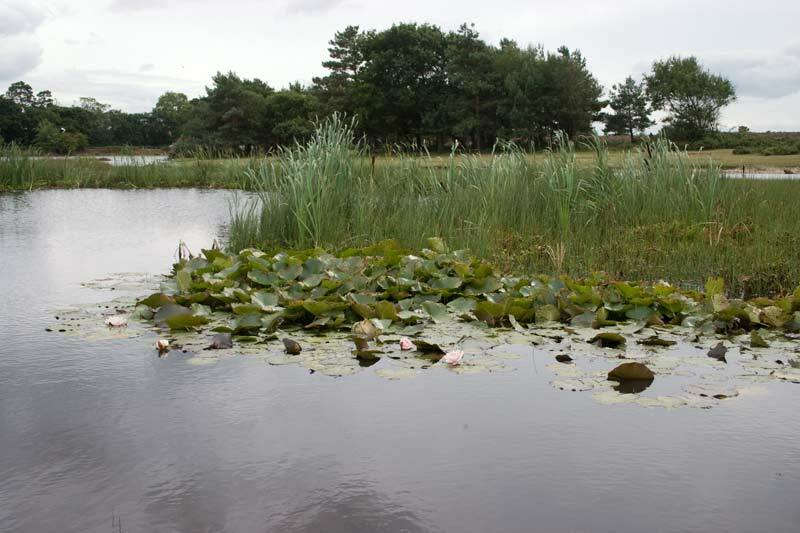 More lilies and reeds around the pond, part of the attraction of the New Forest is the different vegetation. 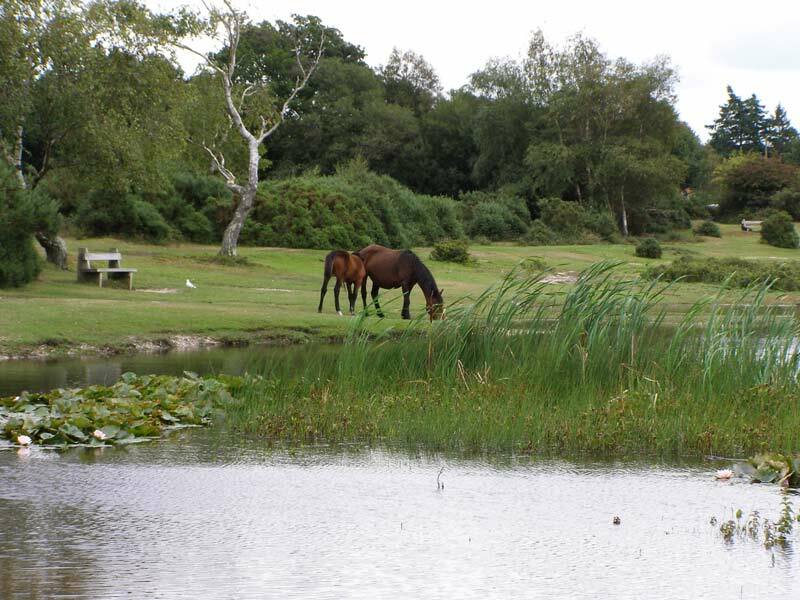 A New Forest mare and foal beside Hatchet Pond. 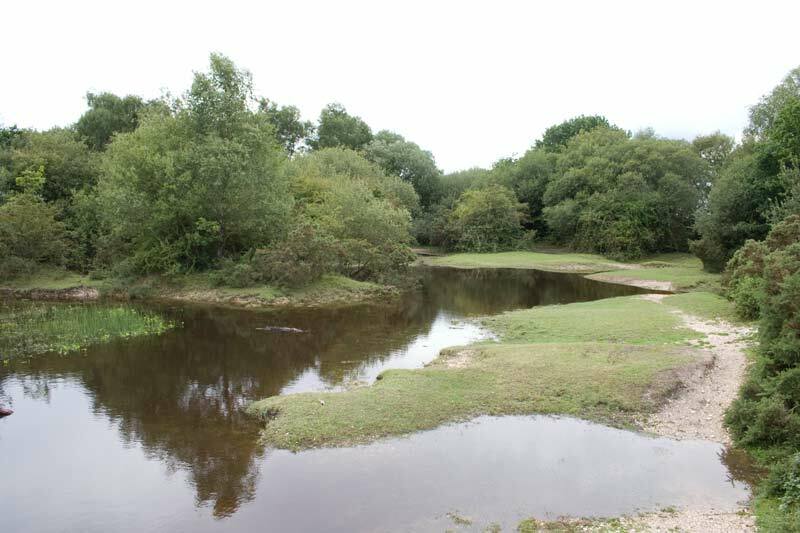 A last look at Hatchet Pond, were the water almost blends into the woodland. 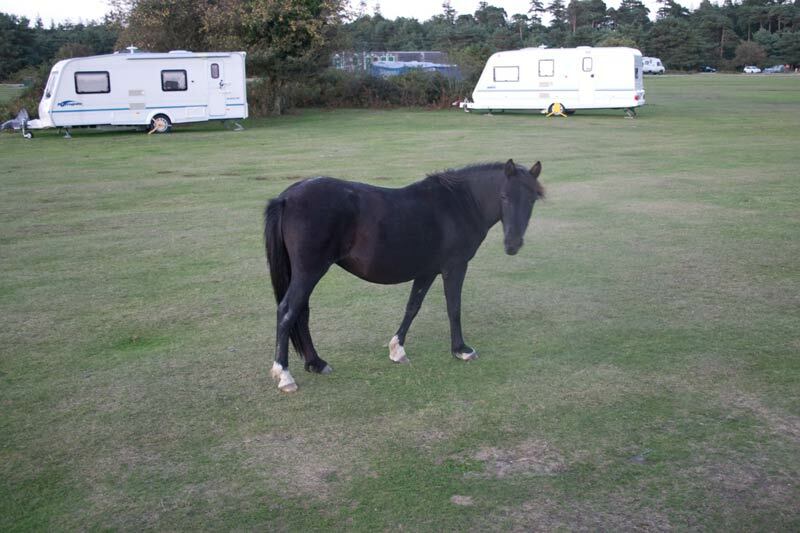 This pony was seen from the 'van at Roundhill Forest Holidays camp site, she very obligingly posed when I spoke to her. 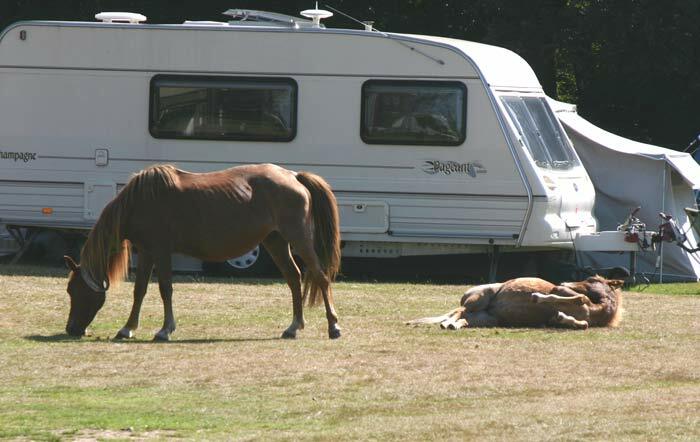 Two more photos of ponies in the camp site, which also show how much you are "in the forest" on these sites. 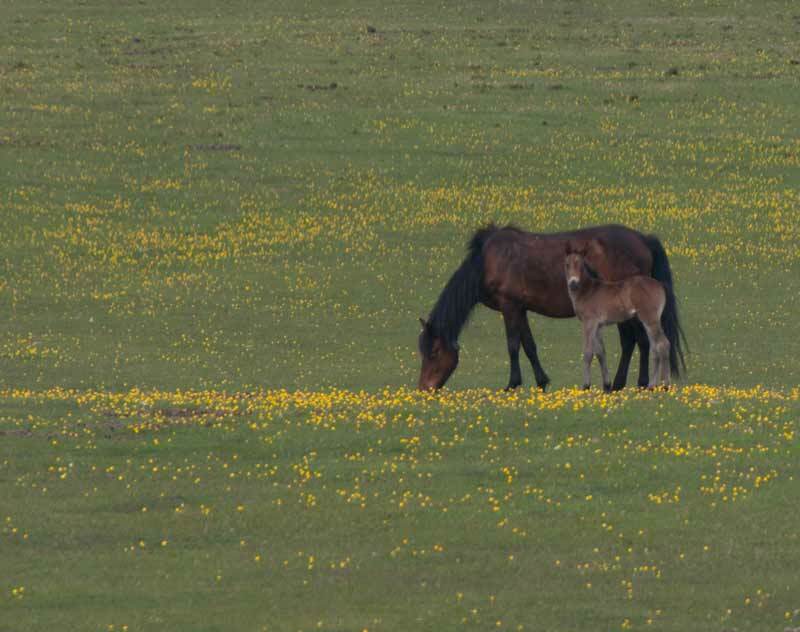 Also visiting the site was this donkey and her foal, I'm fairly sure the same ones we saw at Hatchet Pond the previous day - see photos above - so they had walked a few miles in search of food. 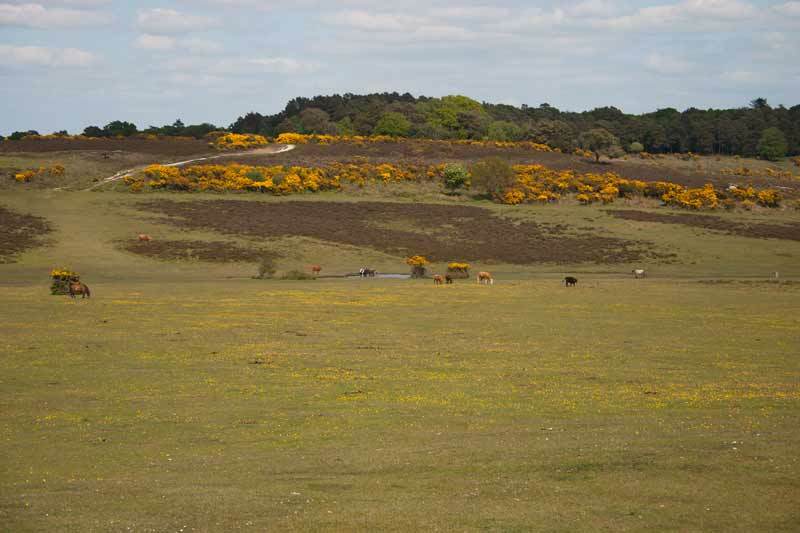 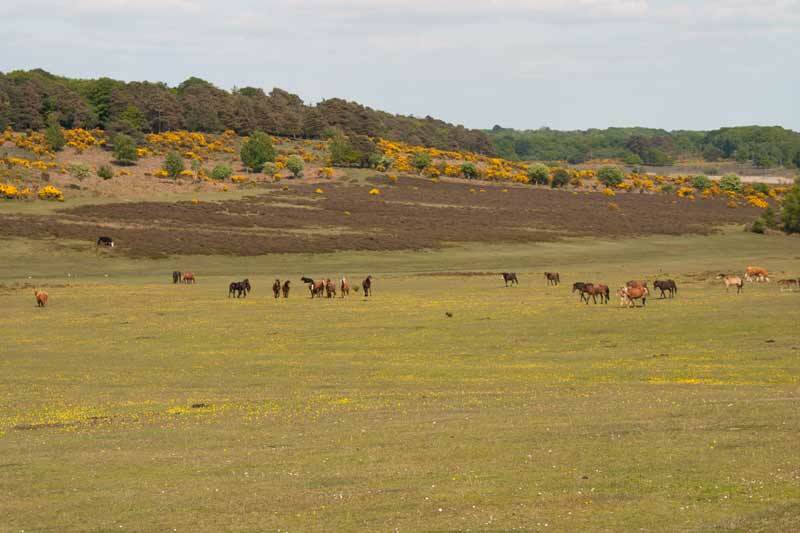 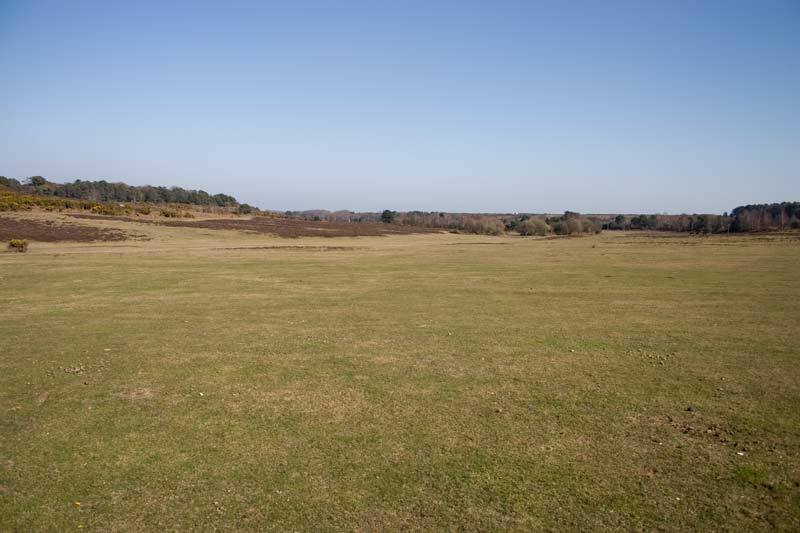 Three photos of ponies grazing on heath land in the New Forest. 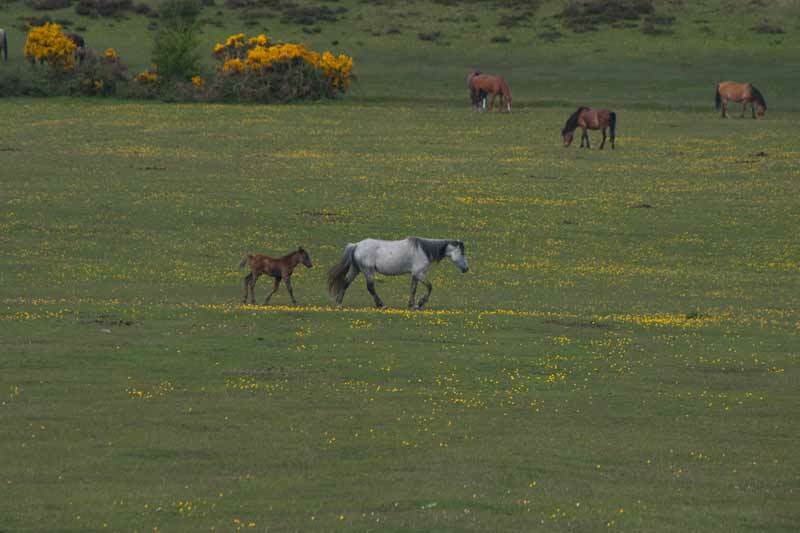 Another selection of views of ponies, foals and Highland cattle in Horseshoe Bottom. 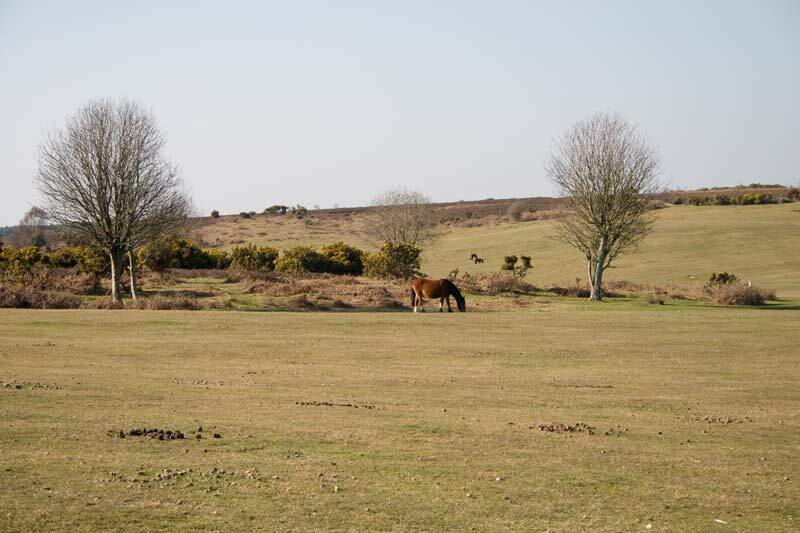 A wider view showing the scenery, the New Forest is a wild landscape but not as hard as, say, Dartmoor. 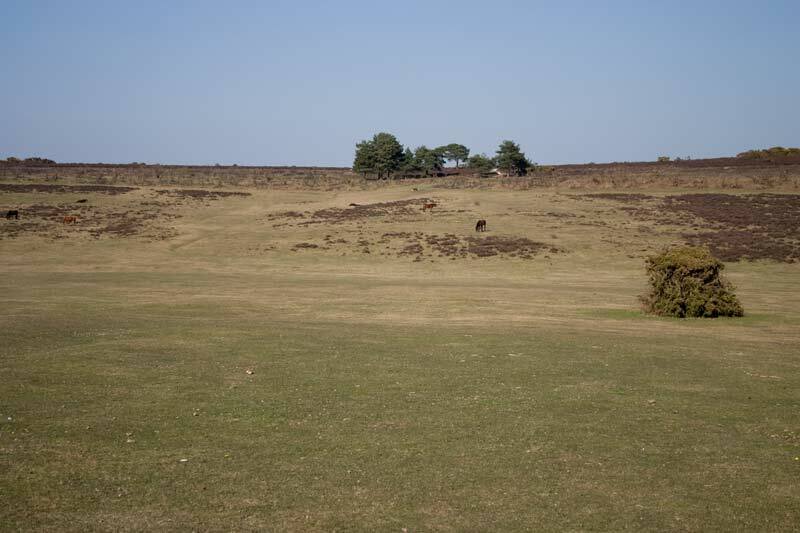 Two more views in the same area showing what a wide expanse of open ground there is here. 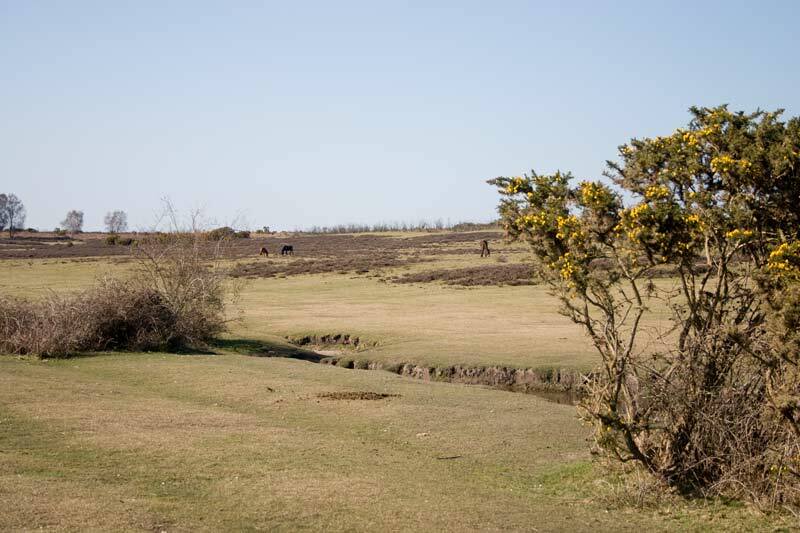 In the bottom of the dip there was a small pond, it looked as if there was a dried up stream bed leading to it but it was grassed over. 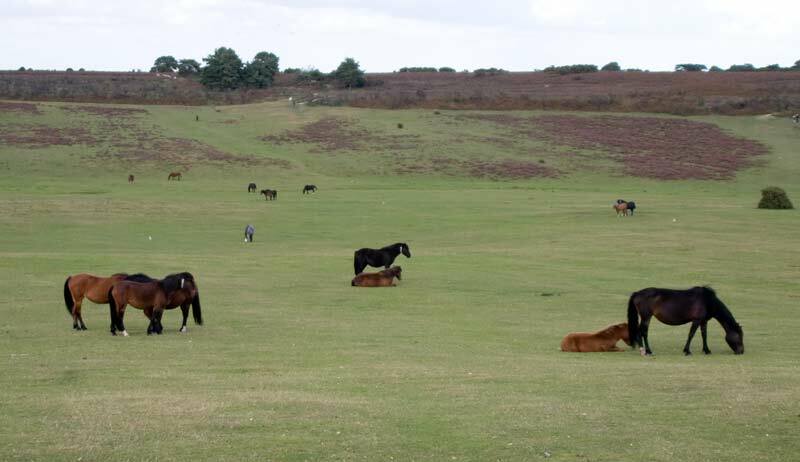 Ponies framed in the scenery which was looking dry even though it was still March. 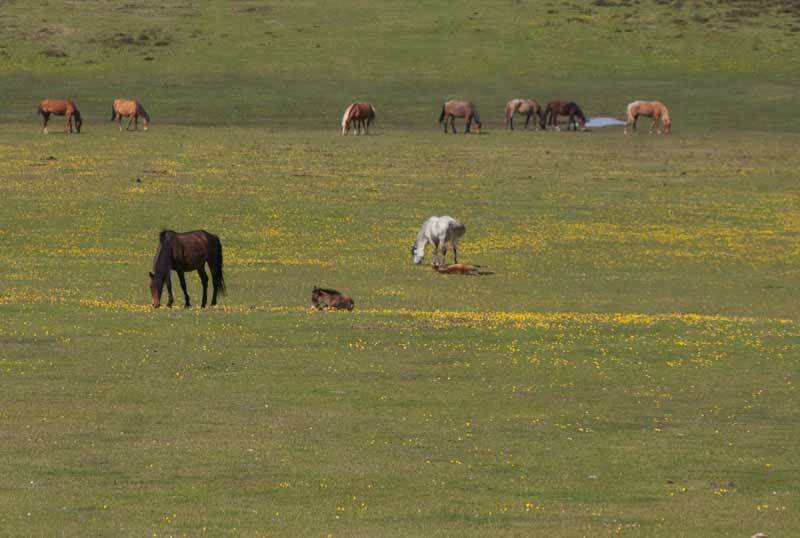 A last photo from this spot, two mares with their foals. 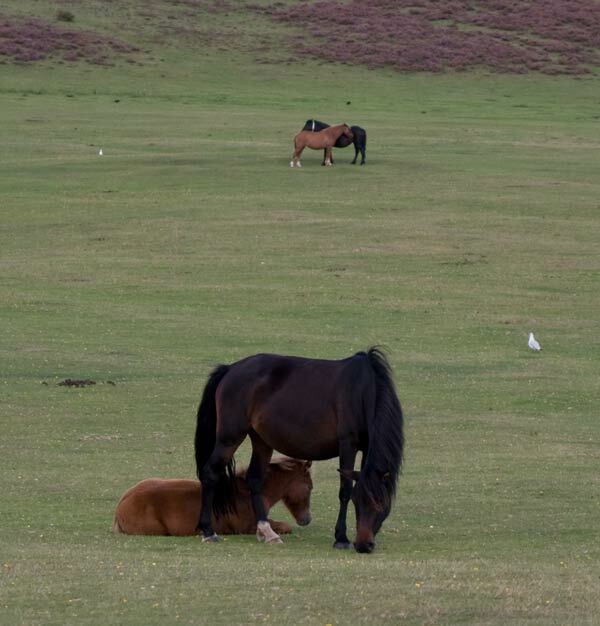 Could I take the opportunity to ask people not to feed the ponies - it leads them to seek food around cars with the obvious danger to them on the roads as well as them becoming a nuisance at times. 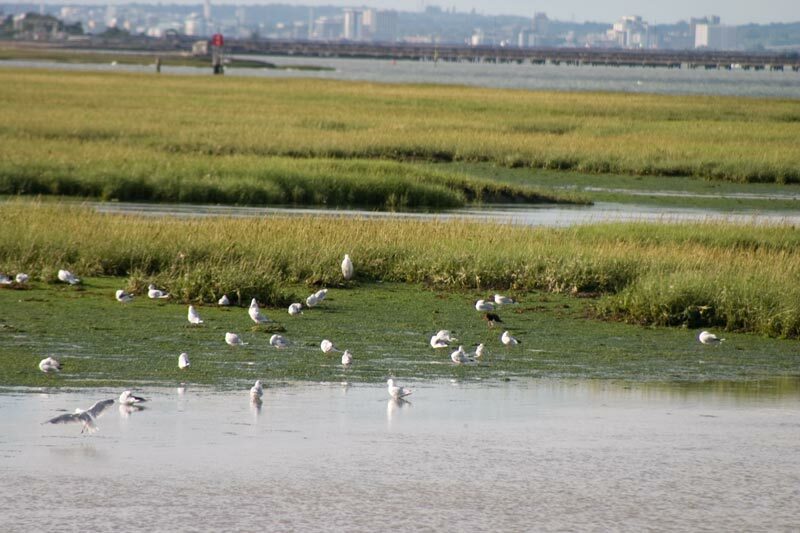 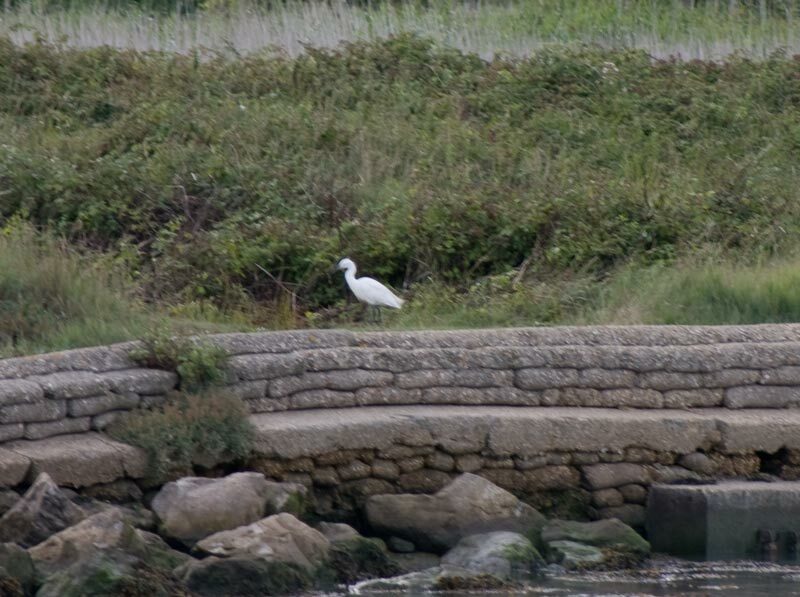 The New Forest gets down to the sea and tidal waters such as these Egrets at Calshot. 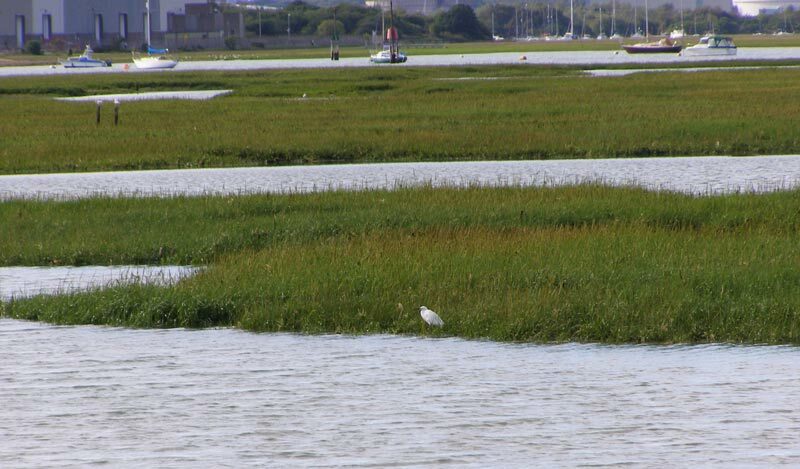 This Oystercatcher was very noisily trying to keep all other birds away from his patch of marsh. 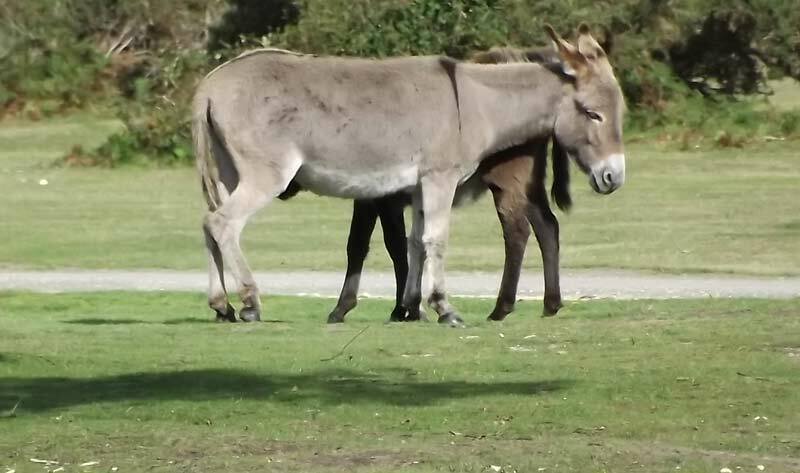 Exbury Gardens in the New Forest have their own page of photos.